At Earncome.com we prefer the easy way as long as it gets the high-quality result we are aiming for. And that’s what we strive to help other business owners like yourself enjoy: maximum result from minimum effort. 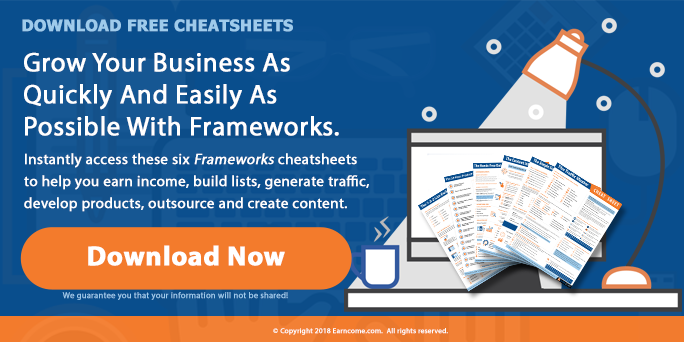 Frameworks is a set of six single-page cheat sheets and sixty-pages of content that further explain the major pieces of every successful online business. 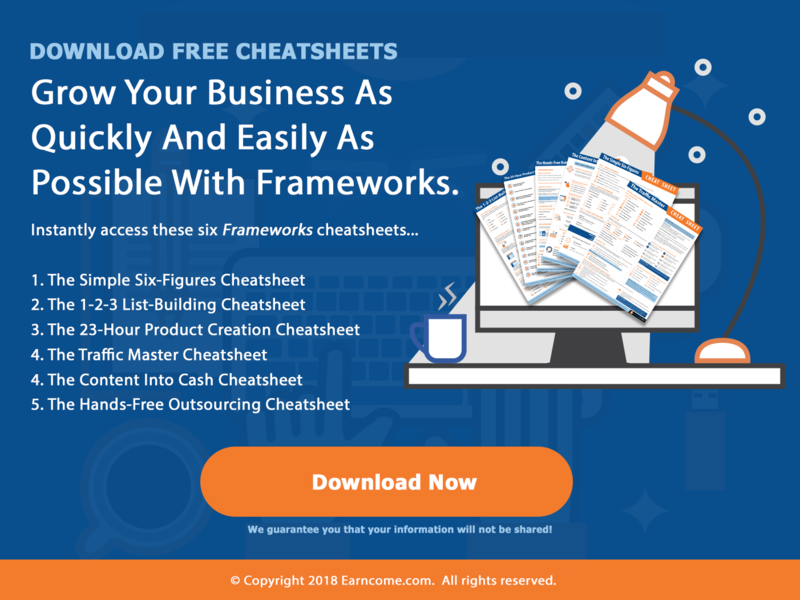 PLR (private label rights) licensing to sell the Frameworks cheat sheets and guides for $19.97 per order, or give away parts/all to build your list. 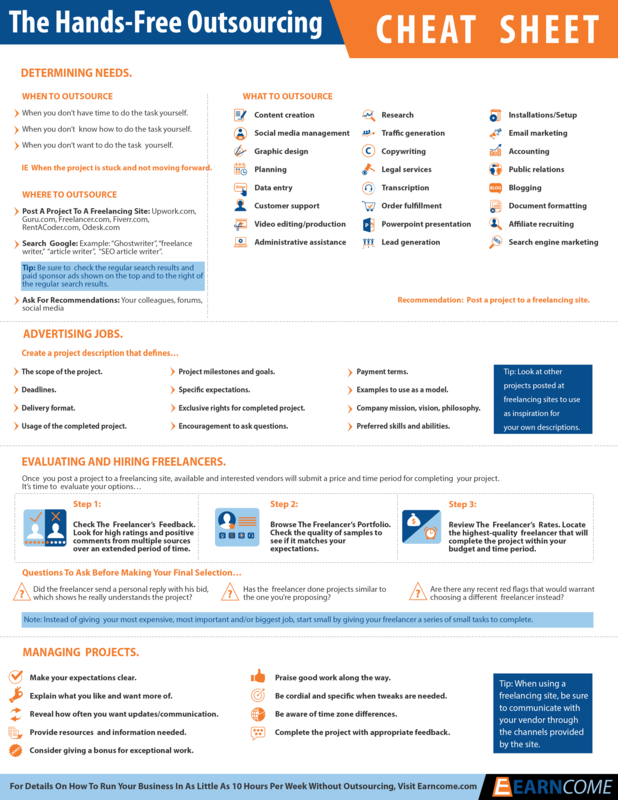 The source files for all six cheat sheets in .psd format to insert your logo and recommended resource advertisement, as well as sixty pages of content in .doc format to edit and use in virtually any way you want. A beautifully designed landing page in .html to give away parts of Frameworks to build your list (see suggestion below for how best to do this). A salesletter in .doc format to use as best fits your website design (or you can simply insert it into the landing page design and use that as a template) to sell Frameworks and keep 100% of every order you receive. Three promotional banner image source files in .psd format to add to your blog, webpage, advertisements or other spaces to promote Frameworks. I’m betting your customers could use help in all six of those areas, right? You bet they could. And that’s why this PLR package is such a smart investment for a savvy marketer like you. A business is a complex machine with a lot of moving parts. It can be overwhelming to try to put those pieces and parts together… especially if you don’t have a good blueprint. Build an audience of targeted prospects who are extremely eager to buy what you’re selling. Build a relationship with this audience so they “know, like and trust you” enough to do business with you. 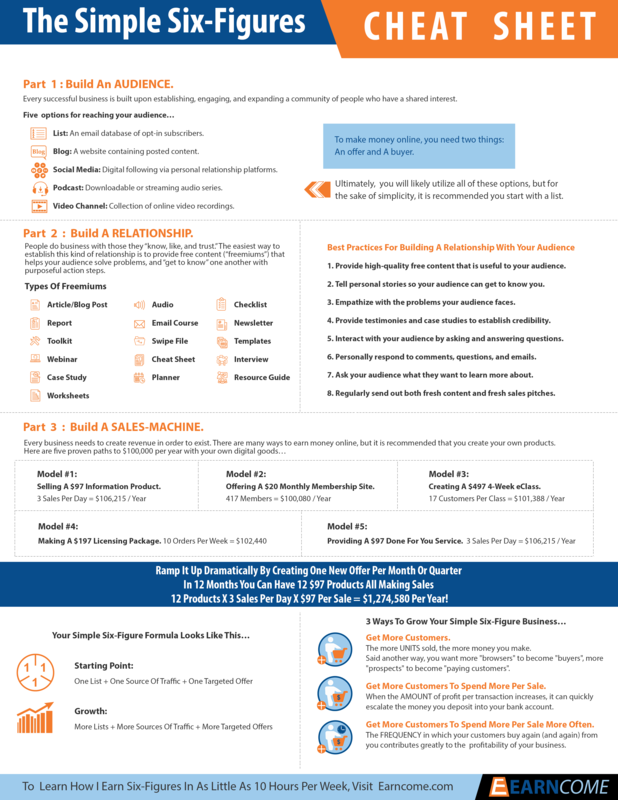 Build a sales machine to deliver high-quality offers in front of this responsive audience. This is the key to turning browsers into buyers, and buyers into repeat customers. Most people know the basic steps of building a list. But very few know how to take these steps in a way that produces great results. That’s what this guide does for you. Creating an irresistible lead magnet that attracts prospects AND generates sales on the backend. This is your key to both list growth and profits. Capturing the opt-in, which is all about creating a high-response lead page so people join your list. This is obviously one of the keys to building a big list. Choosing a targeted traffic source and getting as many eager prospects in front of your lead page as possible. 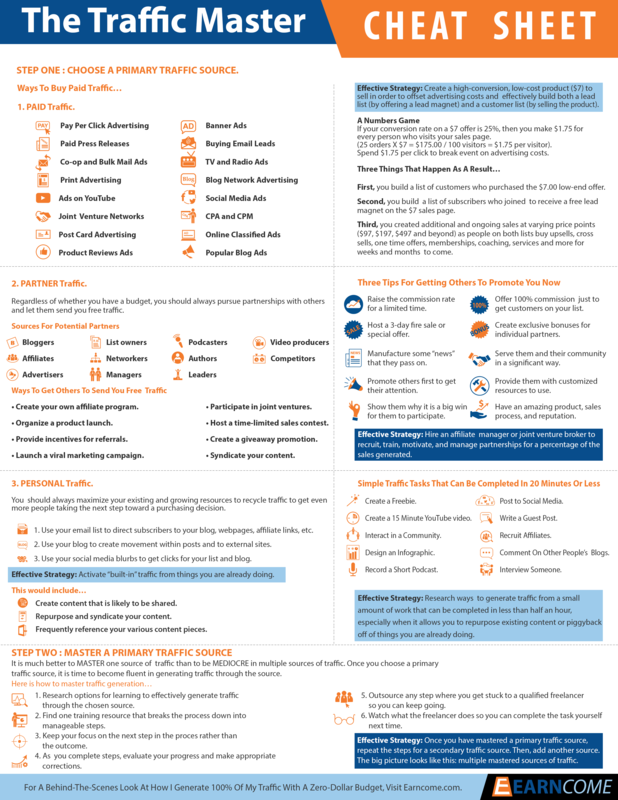 You’ll learn about 13 good ways to drive traffic to your lead page. Creating a profitable product doesn’t need to take long. Even if you don’t have a lick of experience, you only need to do about 24 hours’ worth of work to go from brainstorming an idea to creating an in-demand slide-share video and manuscript. And as you gain experience, you’ll be able to step through this process even faster! Question is, what exactly should you do during each of those 24 hours? The answer to that million-dollar question lies inside this guide. You’ll get an exact step-by-step blueprint that will walk you through each hour and each step you need to complete to go from product idea to product completion. 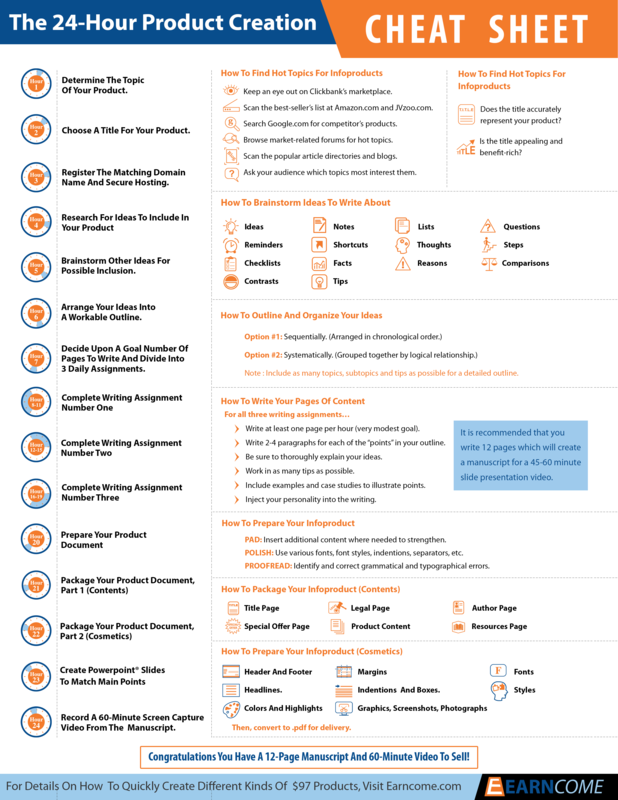 Your products are the heart of your business profits, and this guide shows you how to create more products more quickly so you can generate more profits! If you want to make a lot of money with your online business, then you’re going to have to learn how to generate a lot of traffic. But you know what? Most marketers and small business owners do this all wrong. They spread their efforts too thin. End result? A whole lot of nothing. Choose a powerful source for high-quality traffic. Master that traffic source to get amazing results. Rinse and repeat until you get all the traffic you want. Finally, you’ll get real results and sustained traffic numbers that you can build on over the long term! You don’t create and distribute content online just to fill up space and use up some bandwidth. Instead, you use content to achieve a very specific purpose. And most of the time, you use that content to generate sales. 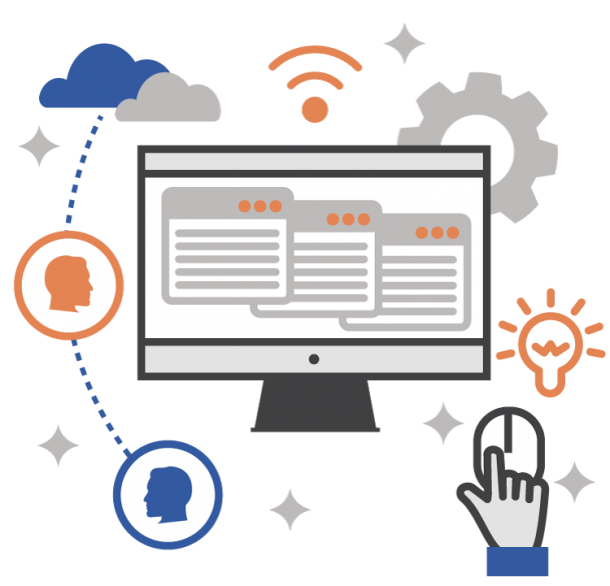 Quickly and easily creating effective content – create it once and get results for weeks, months or years to come. Attracting more leads with your content. Closing more sales with every piece of content you publish. 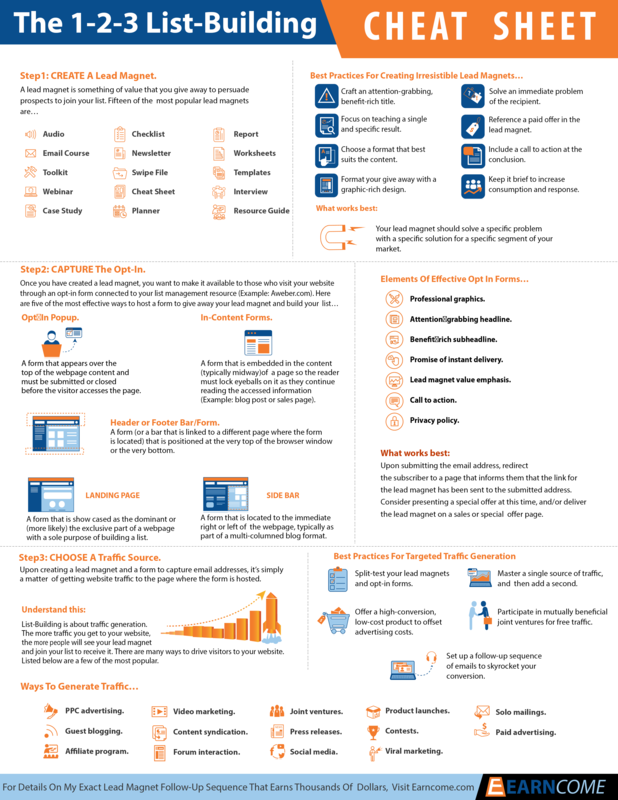 Don’t even think about writing any more content until you’ve reviewed this guide. One of the best things you can do for your business is to learn how to make it as hands-free as possible. And one great step towards a hands-free business is learning how to outsource. Now if you’ve never done this before, you might be scratching your head. How do you even figure out what to outsource? And how on earth do you find a good freelancer who won’t do you more harm than good? Determining your needs so that you can maximize your ROI and profits. Locating and hiring the best freelancers for your particular job – don’t settle for anything less. Managing your projects so you can get the best results in the least amount of time. End result? You’ll uncover more profits in your business without having to do the work yourself! And that’s priceless. Now let us be clear about what these guides are, and what they are not. These aren’t complete, in-depth instructional manuals for those six key business areas. In each guide we’ve condensed an overall strategy into a workable, proven action plan that makes money. 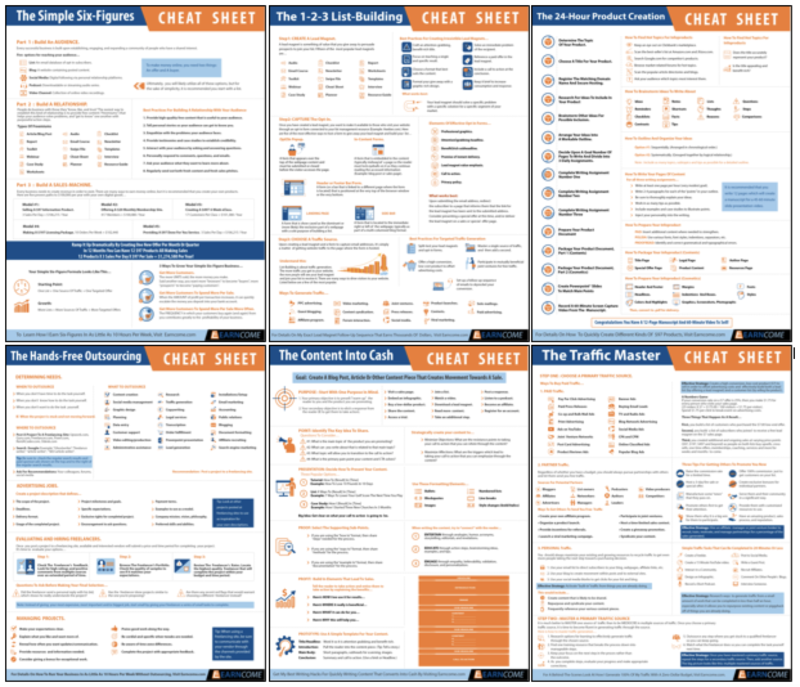 These cheat sheets condense each topic into its most important points, tips and steps. That means you can remind yourself of what to do next just by glancing at these cheat sheets. They are not exhaustive, comprehensive training courses. They are what you “need to know” and no extra fluff and filler. 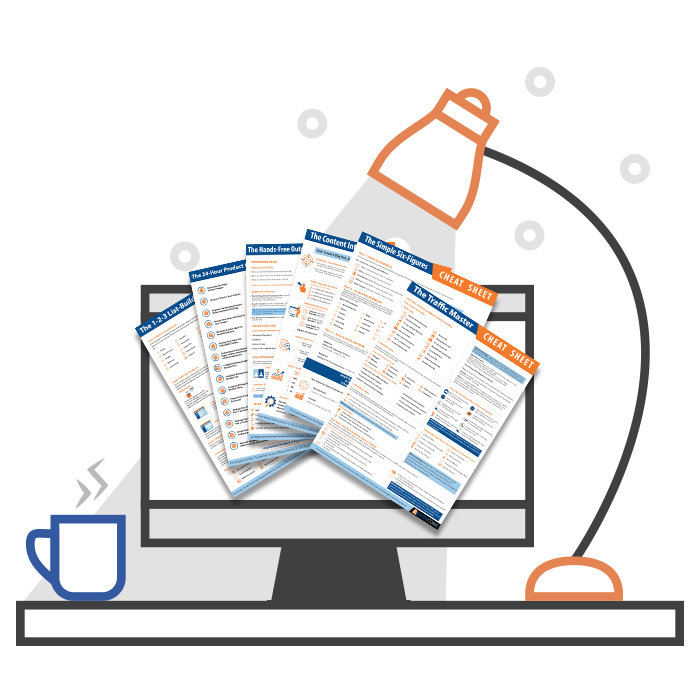 Each guide is approximately 3,000 words … 10 pages … giveing you over 60 pages of highly detailed content for building your business. includes is to see exactly what one of these guides includes! * Give away all six of the single-page cheat sheets (but not the sixty pages of documents). * Give away ONE of the single-page cheat sheets AND the accompanying 10-page guide. NOTE: We recommend you go with option three and this is what we did in giving away The Content Into Cash Cheat Sheet / Guide combination above. 2. Sell The Entire Frameworks Package For $19.97 Per Order. We recommend that you give away a “splinter” as mentioned in number one and then promote the entire Frameworks package on the backend of that giveaway. 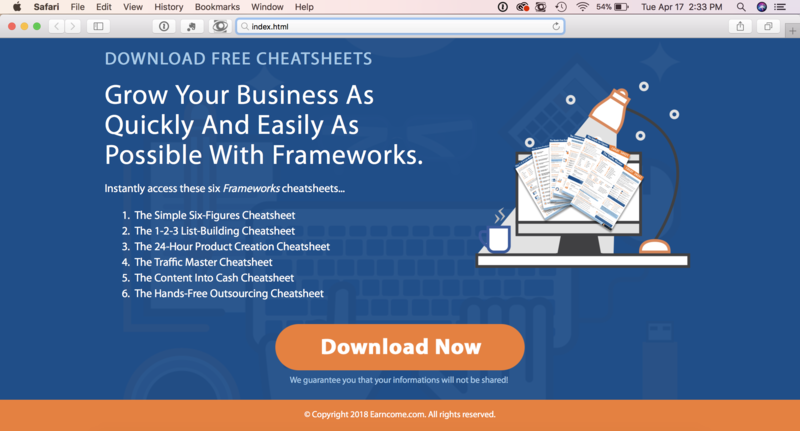 We suggest that you sell Frameworks for $19.97 for the six single-page cheat sheets and the six accompanying guides. 3. Backend Other Related Offers In Your Free And Paid Offers. Each cheat sheet has a footer advertisement space where you can embed a related offer of your choice to earn backend profit. Additionally, the accompanying guide documents have ample space for you to insert recommend resources, advertisements, banner images and in-content references to promote a variety of offers in the content itself. Build Your List With Frameworks. 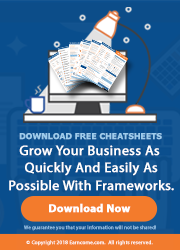 Sell Frameworks For $19.97 Per Order. These Are The Three Easiest Business-Building Steps You Will Ever Take. How much would it be worth to your business to add more people to your list? How much money would you make if you had a ready-made product to sell for $19.97 … over and over again? 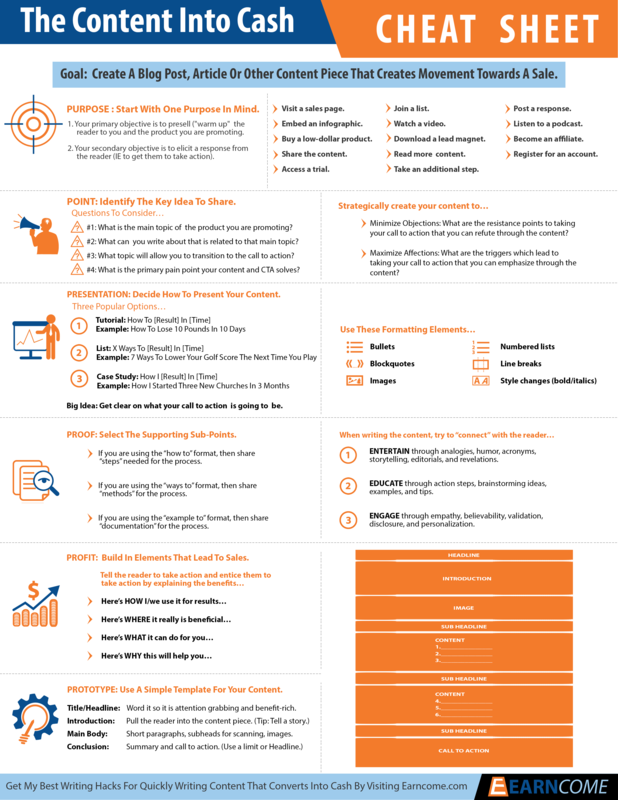 If you hired someone to research and write sixty pages of content, create six infographic cheat sheets, design a landing page and promotional images, and write a professional salesletter to do this yourself, you can expect to pay $1,000+. Good copywriters charge more than that for the salesletter alone! 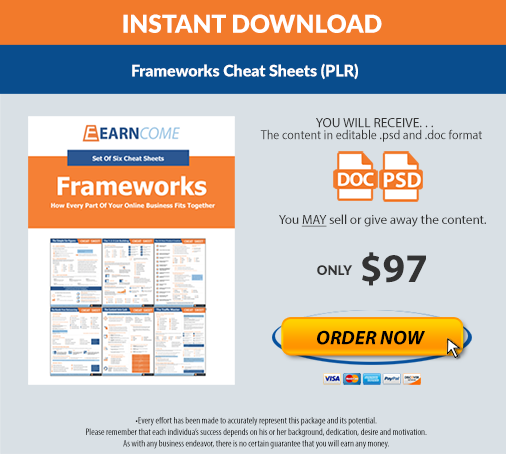 that PLR licensing to Frameworks is only $97. A beautifully designed landing page in .html to give away parts of Frameworks to build your list. This is an incredible PLR package that you can use to build your list and generate orders. Get started right now and within minutes you can complete those three super easy steps: Rebrand. Distribute. Profit.